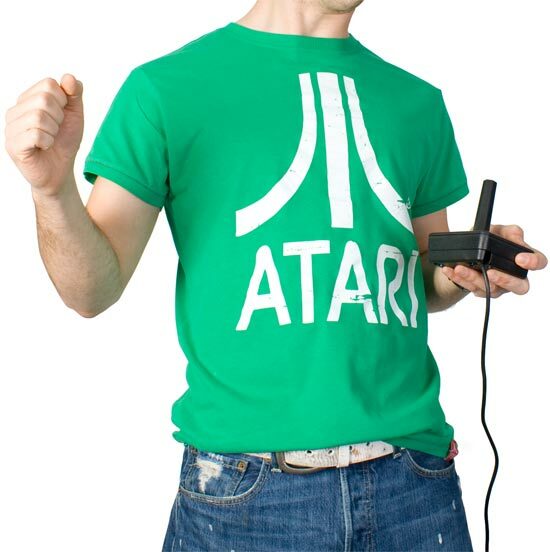 "Like, if you wear an Atari shirt, does that mean you're actually a fan of old Atari videogames?" he wondered. "Would you be aware that they withdrew from the console business in the 90s after their Jaguar system was a commercial flop, then later had their intellectual property rights bought out by French videogame developer Infogrames?" In light of these questions, The Enduring Vision set out to find out the philosophy behind the hipster's t-shirts, and the results were mixed at best. "Yes, I like Atari," said one hipster when asked. "They're awesome." When asked what his favorite Atari game was, he answered, "I don't know, I don't play videogames. But Atari is awesome." Our reporter attempted to get the young man to explain himself further, inquiring on what basis he liked Atari if it did not have to do with the videogames they produced, but the hipster quickly grew confused. "The question does not compute," he said, smoke beginning to pour from his eye sockets. "THE QUESTION ATARI WHERE IF ATARI=VIDEOGAMES AND I NEVER PLAYED BUT I LIKE --"
A large wire burst through his neck, interrupting him, and the interview was forced to end.